D.C. Local Politics at a Decision Point (and Welcome to Atlantic Readers) — Quiet Clean D.C. The item below is cross-posted from The Atlantic's site, where over the years Atlantic writer and QCDC member James Fallows had been introducing the story of the effort to phase out gas-powered leaf blowers and other equipment in Washington D.C. and around the country. We welcome Atlantic readers, hope you'll explore the site, and invite you to sign this Change.Org petition to request hearings on a bill that already enjoys broad support in the District. Over the past two years, Deb and I have been increasingly impressed by the importance, vitality, difficulty, and effectiveness of local-level activism in the cities we’ve visited across the United States. We’ve interviewed and written about the people who are committed to changing the texture of life—and have!—in Sioux Falls, or in Fresno or San Bernardino, or in Greenville, or in Eastport or Duluth or Columbus or Allentown or Burlington or Redlands or Pittsburgh. They have done it. What about us? What about the place where our children were born and where they finished high school, where we own a house and have lived for more years than anyplace else: Washington D.C.? Don’t we have an obligation to keep pitching in too? The District is the site of national / international struggles but also of intense local involvement. Over the years, our local involvement has been mainly with our immediate neighborhood and with youth sports leagues and the public schools, when our children were there. One way in which we got involved was to join a group of neighbors trying to bring the nation’s capital up to speed with a growing number of other cities, in phasing out use of the (obviously) noisy, but also surprisingly dangerous, polluting, environmentally destructive, and technologically outdated piece of machinery known as the gas-powered leaf blower. Dozens of cities have already done this. A recent example is Key Biscayne, Florida, which mandated a shift to cleaner, quieter battery-powered equipment — and gave lawn-maintenance companies a whole 180 days to comply. The most important work of all, done mainly by one of our colleagues and described more fully below, has been going from one Advisory Neighborhood Commission to the next, explaining the arguments, and getting commissioners to vote in favor of changing the District’s policy. This item, the last in the series in this space, is an account of what has happened since then, what comes next, and where further online updates can be found. Local support and involvement. The closest-to-the-citizen unit of government in the District is its set of Advisory Neighborhood Commissions, which answer directly to local people and which report up to the City Council. Our effort began with an 8-1 vote in favor of the phase-out from our own ANC. Over the past year our members (mainly one heroic member) have gone from ANC to ANC, made the presentation, and gotten support, usually by lopsided positive votes. Six ANCs have endorsed the measure, with more continuing to vote. You can read samples of their statements of support here. Environmental data. The underlying technical problem with gas-powered leaf blowers is that they rely on a technology so obsolete, so polluting, and so primitive that it has been outlawed or phased out in most other uses. These two stroke engines burn a slurry of gasoline and oil – and burn it so inefficiently that some 30% of the fuel is sprayed straight out as polluting aerosols. The fuel that is burned is done so crudely that one little leaf blower can be vastly more polluting than a fleet of modern cars – as cars and trucks have gotten cleaner, and this old tech has stayed the same. One famous study found that running a leaf blower for half an hour was, in terms of certain kinds of pollution, the equivalent of driving a truck for thousands of miles. Some old-tech industry lobbyists complain about these studies, but anyone who recalls tobacco industry denials will recognize the tone of the discussion. And the major manufacturers are moving ahead to promoting their cleaner battery-powered models. Public health data. The CDC says there is an incipient epidemic of hearing damage, for which nuisance noise like this is a major effect. Acoustic studies have documented the unusually penetrating qualities of very loud and low frequency noise from leaf blowers. Other studies have identified the carcinogenic, asthma-inducing, and other disease-causing elements in the engine emissions and the clouds of fine particulates the blowers produce. These effects extend across neighborhoods, but of course are most intensely concentrated, in much of the country, on hired lawn crews. The members of these teams are usually low-wage, often foreign-born, often not English-speaking. Overall they are much more vulnerable than the people who are paying them, and are far from guaranteed to have good health coverage a decade or so in the future when the pulmonary and auditory effects of their work take their toll. Technological progress. All the major manufacturers know where technology and policy are leading them, and are featuring new battery-powered models. The revolution in price-and-performance for batteries that is being driven by Elon Musk’s Tesla and many other firms is affecting this business as well. As a cumulative effect of trends in all these areas, the most dramatic change is probably in the battlefield of ideas. Several years ago, the standard response to even talking about leaf-blowers was, “Seriously? This is what you’re concerned about?” Now more and more media mentions treat the acceptance of leaf-blowers as an inexplicably unsafe, dirty, socially destructive artifact of modern life. Finally from NJ.Com, the editorial board of the Newark Star-Ledger. ANC’s from across the District have approved the proposed anti-leafblower bill. A majority of members of the City Council have either co-sponsored the measure or indicated their support of it. But before anything can finally happen, the relevant committee of the City Council must hold hearings. And, by decision of City Council chair Phil Mendelson, the committee that will hold hearings and consider the bill is the “Committee of the Whole” – the entire City Council. 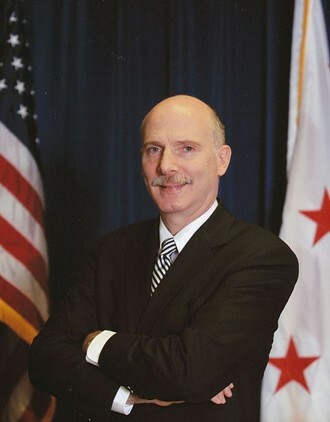 Will Chair Mendelson, up for a re-election run this year, agree to schedule hearings – on a measure that most Council members support, and that many ANCs have already endorsed? So far more than 900 people have signed a Change.Org petition requesting that he do so. Because the Atlantic’s site is meant for analysis and description rather than advocacy, I’ve said nothing more in this space about the D.C. campaign since we got serious about it in the fall of 2016. Instead our group has posted updates—on environmental and public-health research, technical improvements, legislative developments—in the News section at our own independent site, called QuietCleanDC.com. I invite you to visit that site for further news. It’s been a rewarding stage of engagement, which is bound to have a positive outcome – soon, I hope. Older PostWhy Are D.C. Commissions Voting for Cleaner Tech (and Against Leaf Blowers)? Here They Explain in Their Own Words.